At 27 years old, Tiffany Pham redefined the term “mogul” after founding her company, Mogul, a social empire that connects women from across the globe. The platform provides them education, employment opportunities, and information access. And her accomplishments haven’t gone unnoticed. 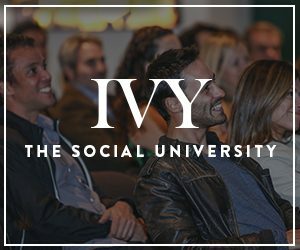 Not only was she named in Forbes’ “30 Under 30” and Business Insider’s “30 Most Important Women Under 30”, but IVY recognized her talents early on, awarding Tiffany an IVY Innovator Award in 2014. In this podcast, Tiffany shares her story and the lessons she’s learned about forging your own path and following your passions. Discover the secrets to breaking through the noise in this age of disruption. This Podcast is presented by Convene.